When it comes to living big, no other place does it quite like New York City. It’s not called the Big Apple for nothing. NYC is the biggest city in the country. It’s also one of the most expensive to live in. Just how expensive? Well, consider this. A micro apartment has a price tag between $2,000 and $3,000 a month. That’s not including any renovations you may want to tackle in the future. 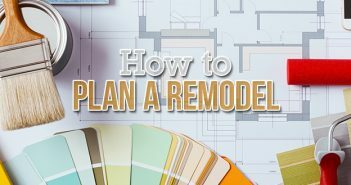 Renovations can come with their own hefty price tag, but they don’t have to be. In fact, there are many cost-effective renovations for apartments and houses alike. 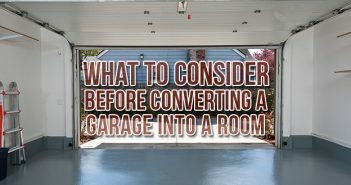 In all actuality, these lower-cost yet highly noticeable changes can often have a higher return on investment (ROI) as opposed to more expensive renovations that will devalue your home. Here are some simple renovations with big payoffs for your New York City home. Hardwood floors, you either love them or hate them. The fact of the matter, though, is that hardwood floors add warmth and depth to any living space, not to mention they’re easy to clean and maintain. That’s as long as they receive the TLC they need. Failure to do this can result in bare wood exposure, which could then lead to rot and decay. You can protect your hardwood floors from damage by refinishing them. By refinishing your hardwood floors, you can get that shiny, new look you’ve been wanting. Hate that shade of red in the kitchen? How about those boring white walls in the living room? It’s okay. Not everybody has the same taste when it comes to color schemes. The beauty is that there’s a simple fix for that – paint. A fresh coat of paint does wonders for an apartment or home. A new paint job can bring a wall to life and make it stand out, so check out the best and worst colors for each room. If you’re looking to give your living room a warm and inviting look, for example, try light colors such as beige, cream, or shades of yellow. The little details oftentimes get overlooked. It’s important, however, to pay attention to detail. 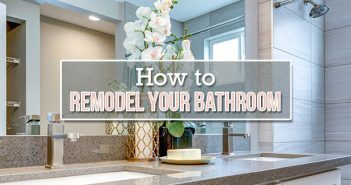 After all, a simple update to a bathroom fixture or a kitchen fixture can go a long way. A fixture is something that is permanently attached to a home and they’re always included in the sale of a home, such as built-in shelves and ceiling fans. You can also update lighting, sink faucets, towel racks, wall plates, and more. Simple, yet effective. The kitchen is one of the most popular rooms of any apartment or home. Whether it’s preparing meals, eating meals, unloading groceries, or washing dishes, the kitchen gets a lot of work. It also makes for a great gathering place for family and friends. That being said, you want it to be warm and inviting. And nothing says boring and outdated than kitchen cabinets that look like they’re on their last leg. Fortunately, updating kitchen cabinets is an easy and inexpensive fix. Ways to make your kitchen cabinets look brand new include refinishing, painting, or staining them. Of course, you can always replace your kitchen cabinets. Another option to spruce up your kitchen and make it look new again is by updating the appliances. Stainless steel appliances such as dishwashers, microwaves, refrigerators, and stoves are becoming more and more popular in kitchens all over. Not only do they look good, but they add value as well. An entry door replacement (steel) in New York City has an ROI of 95.3 percent, according to the 2015 Cost vs. Value report published by Remodeling Magazine. If your front door is starting to deteriorate, the joints are coming loose, or you simply desire a different style or design, it may be time to replace it. If you don’t want the expenses that come with replacing a front door, another option is refinishing and refurbishing it.